The Cable Matters HDMI Extender with IR Control is the ideal solution for connecting equipment in remote locations up to 300 feet apart with a single Cat 6 cable. 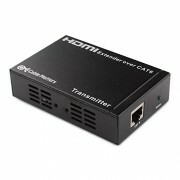 These Extenders convert the HDMI signal using TCP/IP over a single Cat 6 cable or an unmanaged, dedicated network switch. 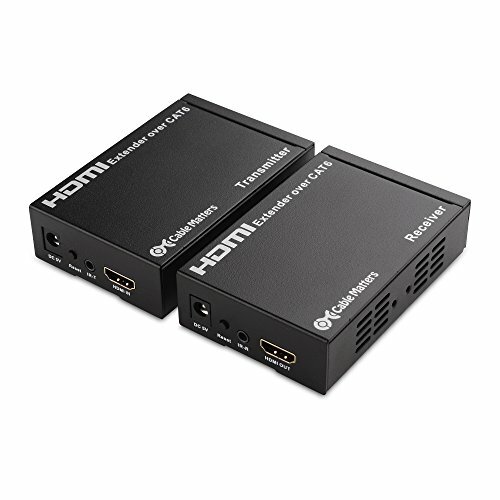 Applications include digital signage, houses of worship, classrooms, boardrooms, conference room projectors, gaming, video production and more. 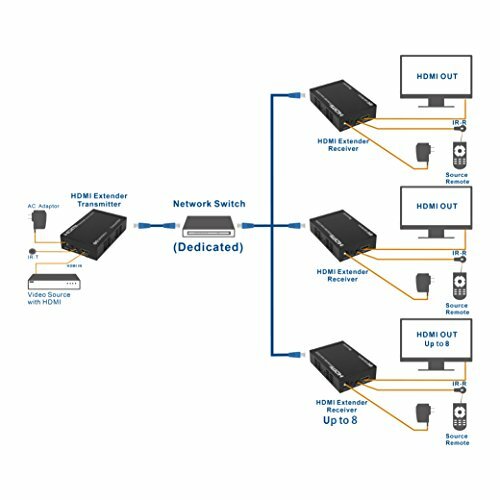 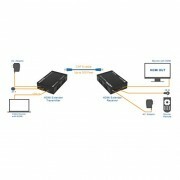 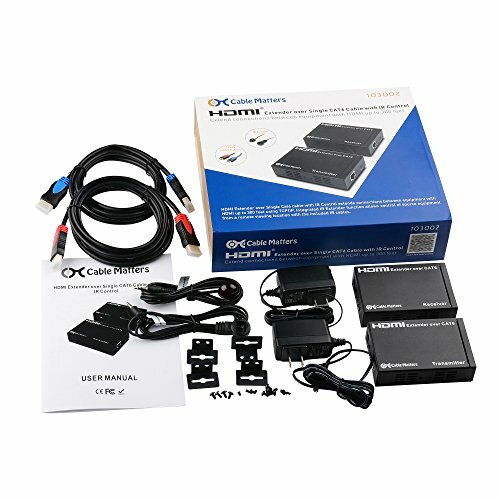 Connecting up to 8 displays is as simple as connecting additional Receiver Boxes (sold separately) for the HDMI Extender Transmitter through an unmanaged, dedicated network switch. 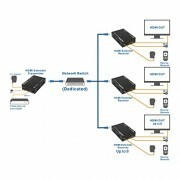 Each display can be located up to 300 feet from the Transmitter box. 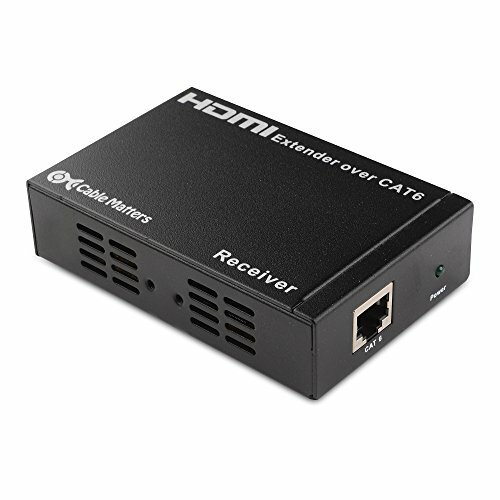 Customize your installation with a flexible Cat 6 cable terminated to the perfect length with the unshielded, shielded, in-wall rated, or plenum rated construction that meets your building code. Connect to an unmanaged, dedicated network switch and utilize existing building wiring. 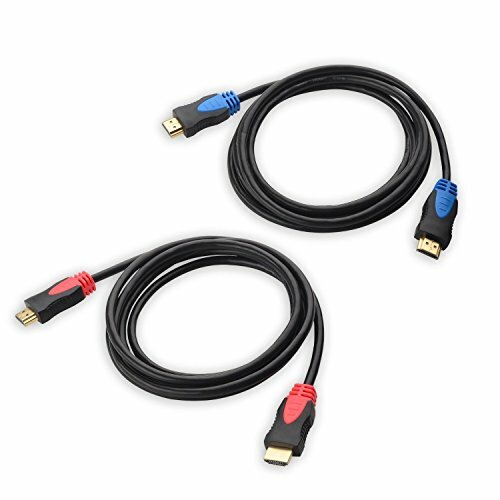 Locate the HDMI extenders up to six feet from each end with the included High Speed HDMI cables and mounting hardware.